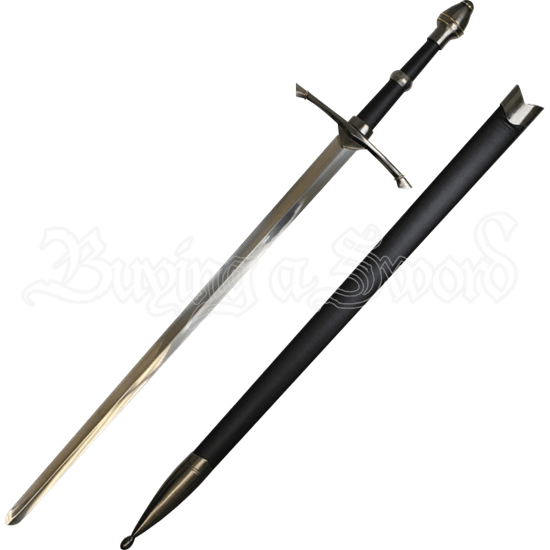 For errant knights and honorable wanderers, the Noble Ranger Medieval Sword is a fine blade. With its elegant yet straightforward design, this decorative sword is a beautiful example of historical weaponry for collection or display. The stainless steel blade has a diamond-shaped cross-section, and the straight, silver tone crossguard ends in slightly tilted quillons ringed by touches of brass. The black grip is divided by a metal ring, giving it the look of a two-handed weapon. The silver tone scent stopper pommel features matching brass accent lines. 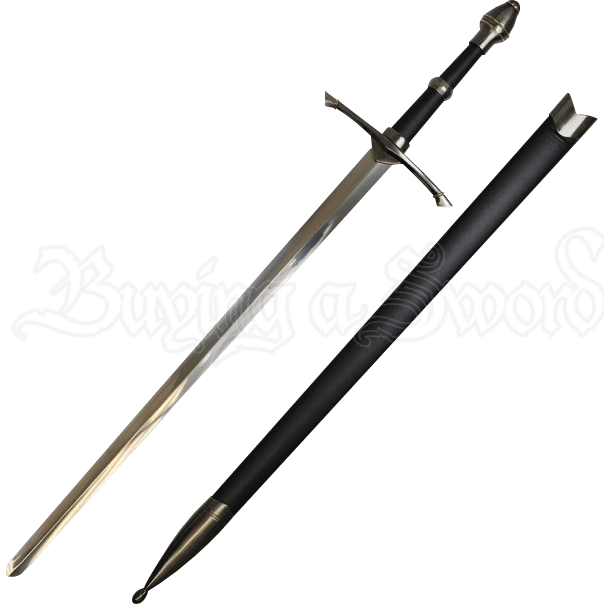 A black and scabbard with silver-finished chape and throat is included for easy storage.